For each person there are their favorite smells, and we completely unconsciously give preference to this or that fragrance of flowers or herbs. On the taste and color, as they say ... And we will add - the taste, color and smell of all people are different! Most of us do not even know that floral scents are not only pleasant for us. And they also have medicinal properties. Ready to find out? Then read on! It has long been proven that floral fragrances can favorably affect a person's psychological state, can make him remember the most memorable and positive emotions from life, and also neutralize bacteria. When creating flower bouquets, florists are guided not only by the general rules for combining colors according to their external characteristics (shape, color scheme, etc. ), but also by their combination with each other on the fragrance emanating from the selected colors. Which colors have a pronounced flavor? 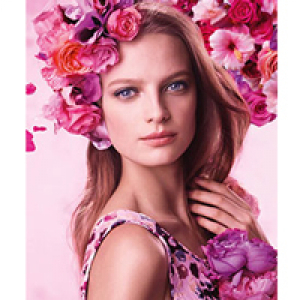 The most fragrant flowers for bouquets are considered to be lilac, rose, lily, mimosa, hyacinth, freesia and narcissus. Such herbs as sage, thyme, rosemary, lavender, mint, cats have an incredible aroma and at the same time a therapeutic and soothing effect. It is for these qualities that florists like to add them to different compositions and bouquets of fresh flowers. No less inviting steel for many aromas of vanilla, lemon, basil. These smells are often added for the aromatization of clothes and linen, they are able to give us a feeling of peace and comfort. In general, many of us can associate certain people with their smells. For example, a grandmother can always be associated with the aroma of fresh baked goods and pink soap, the aroma of vanilla and rosemary that came from washed laundry. A best friend can involuntarily arise in memory when you smell the perfume of his perfume in transport, and a friend - when you are pouring out the intoxicating aroma of a bouquet of roses - her favorite colors. Memory keeps smells no worse than visual images, and sometimes even better. Often the aroma of your favorite colors can raise your spirits, make you smile and make the world a little kinder and lighter. By the way, it is considered that if in your house there are coniferous plants, then no evil spirits are scary to you. Let's take a closer look at the fragrances of flowers. So, jasmine promotes better concentration. Violet brings optimism. Citrus are able to evoke cheerfulness and charge positive emotions. The aromas of lavender, eucalyptus and geranium can excite the nervous system, and wormwood and chamomile - relax and pacify. The smell of mint helps to improve digestion and work of the heart. Each apartment, each house has its own flavor. But it can be modified, done as you want. For example, after putting in several places vases with fresh flowers, add drops of essential oils and enjoy a pleasant and unobtrusive smell. Suitable fragrances for the house is a mixture of oils of cedarwood, eucalyptus and rosemary. But the combination of lemon, bergamot and grapefruit will promote the appearance of warmth and comfort. A special piquancy will give the aroma of geranium and rosemary - these spicy herbs are able to excite fantasy and unchain. Create the fragrance of your home with love! Brew a cup of aromatic coffee in the kitchen, add a pinch of oriental spices and spices (patchouli, rosemary, ylang ylang), take out a hot pie with cinnamon and apples from the oven, and put a beautiful bouquet of snowdrops on the table. And here it is - invisible threads of pleasant aroma fill every corner of your house, creating your own unique atmosphere of warmth and comfort. Think, what is it - your scent?